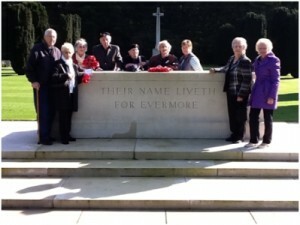 WWII Northern Europe memorial tour. 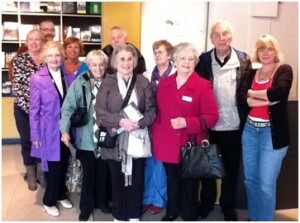 Here we show our last tour which (late 2011) which was provided exclusively for an actual group of real veterans. Sadly due to age and poor health condition with many of the veteran enquiries we have no plans for another. 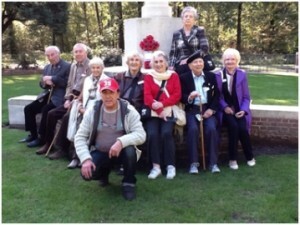 Unfortunately the few remaining veterans are simplynot up to such a tour. However we may consider to replicate the tour sometime in future subject to sufficient numbers. Grareful thanks go to our splendid Dutch researcher ‘Sabine Pidoux’. Sabine’s local press releases and contacts made everything possible. 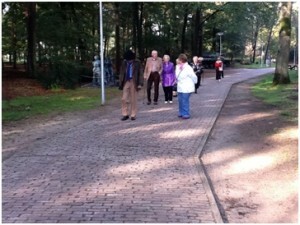 DAY 3 (THURSDAY 13/10/11) Liberty Park HELMOND, OVERLOON. 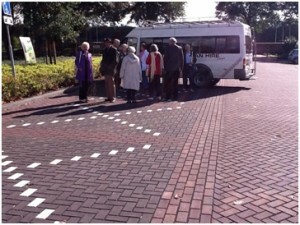 Our WWII Northern Europe Memorial Tour, began being greeted by Mr.,Clemens Weijmans head of local groups dedicated to keeping alive the memory of their liberators. 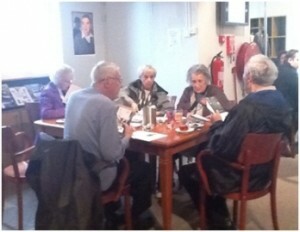 Mr. Weijmans accompanied us through the park to the Museum-restaurant for coffee and a treat. 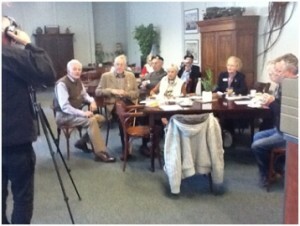 The treat being Stan Smith (who took part in the battle to liberate Overloon) being interviewed by Dutch TV (see clip below). This was followed by a small lunch and a visit to the British war cemetery. Mr Weijman is wearing light trousers and a hat. 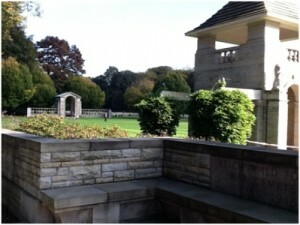 2 images here show us being met and making our way to the museum entrance. Stan preparing for his interview followed by the actual recording.. To Stan’s left is Mr. Weijmans this time without his hat. Afternoon visit to British/Commonwealth Cemetery. 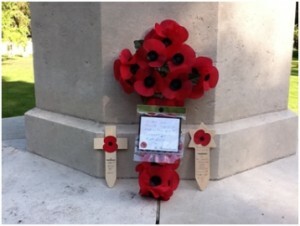 Large Poppy wreath donated by World War Two Heritage. See also small carved “Star of David” Poppy tribute. 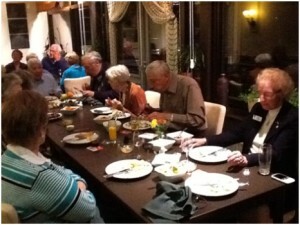 Notably and a great enhancement to the diversity of our group, four of the guest were of the ‘Jewish’ fraternity. 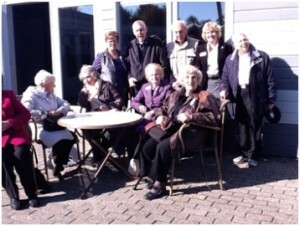 Photo includes John (wearing the red baseball cap) – tour organiser. This location had a particular significance for Stan Smith (far left) as he was actually (holed up the in the forest) for 2 months, during late 44. As well as rounding up German soldiers hidden in the woods, Stan had the dreadful task of undergoing flamethrower practise, ready to be deployed in the demolition of the nearly Belsen camp. As it turned out eventually the job was given instead to British army tanks.. We had the honour of having on our tour a widow of a member of one the tank corps involved. A Mrs Grace Bryan from Wisbech. Her husband had battled all the way up from Normandy. 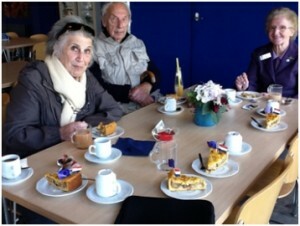 http://www.bevrijdingsmuseum.nl/ Arrived at 11.00 (special guests of honour) welcomed with coffee and cake followed by a short film and a tour with an English guide the charming Cathy McKell daughter of a WW2 veteran. 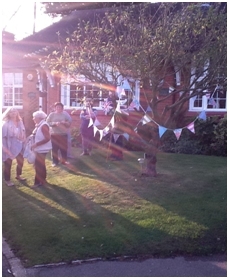 Cathy’s Dad arrived in 1944 helped liberate Groesbeek eventually marrying a Dutch girl-hence Cathy’s arrival. Dad was a professional soldier and subsequently spent 4 years as a Korean POW. Back home!! 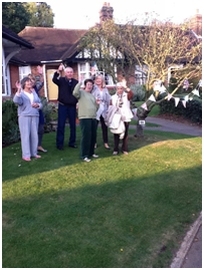 A very pleasant surprise set up by (Sue) Stan and Pats daughter! Where we stayed. Special thanks to the owner “Vincent” a great host. Lastly I could not resist taking a photograph of this superb poignant and emotional painting for the Dutch people. 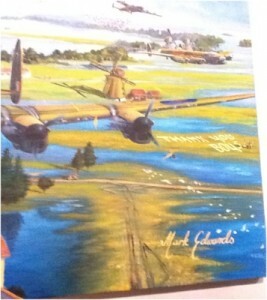 by Mark Edwards (former bomber command aircrew) which I noticed hanging in the Rotterdam museum. 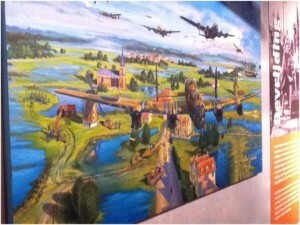 The painting shows a flight of ‘Avro Lancaster’s’ dropping food and essential items to the starving population of Rotterdam. 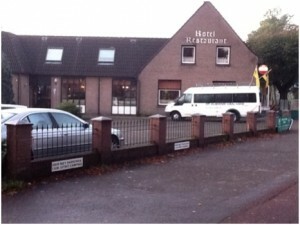 Believe me to this day the people of Holland are eternally grateful.